There is so much extra rushing between Thanksgiving and Christmas. I think I feel it more this year because we were away from home over the weekend, and we are going away for a few days again this week. It is fun to have busy days, and spend extra time with friends, but it is also stressful to feel the weight of things undone. I feel rushed. Out of time. A little out of control. 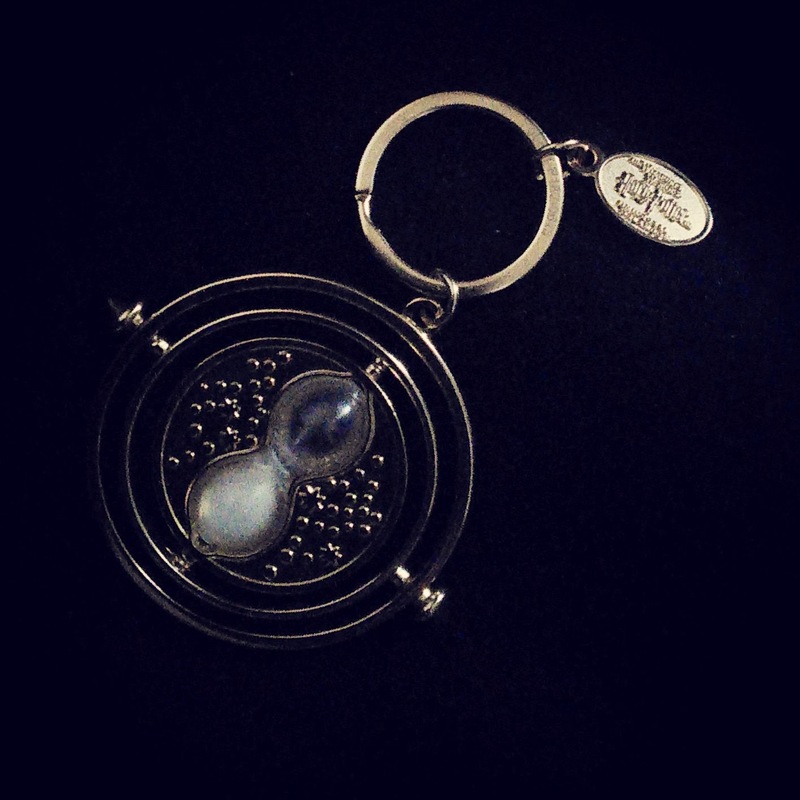 And my mind is full of thoughts about what I would do if I could use a time turner to add a few hours to my day. Time to read my Bible. Time to make Christmas cards. Time to knit a scarf. Time to watch movies with my kid. Time to eat breakfast and lunch. Time to connect with far-away family. Time to have date night with my husband. Time to clear my email inbox. Time to do laundry and dishes. Time to take a family picture. Time to watch all the shows sitting in my Hulu queue. Time to write (and actually send) letters. Time to sit in a quiet room without distraction. Time. We could all use more of it. What would you do if you could add extra time to your day? Today I was taking both kids home from errands/school and one was crying she was cold (which required cleaning the pellet stove before turning it on) and one was crying he was hungry (which required making him a fancy quesadilla) and during all of this, I had to read blogs, edit photos, open my own mail, connect the new DVR box, answer the phone, and eat my own lunch. Needless to say, I'd just like the chance to do even half of my own stuff! And I badly need a haircut. Badly. I would do so many of the same things on your list! It's crazy how we try so hard to add so many things to an already hectic schedule during the holiday season. Great post! I recently decided I missed reading and that I would get to it, if only for 5 - 10 minutes a day. That's how I'm rolling right now. 5 - 10 minutes a day of the things that I love and miss. This way, they are not totally out of my life and gone. Sadly I would probably waste it. Time does seem to rush by way too quickly. I know over the last several months I have been trying to cut down on some things that take too much time away (like watching things on television) to replace them with things I ultimately enjoy more, like reading. Also am trying to get up early enough to spend time reading the Bible, exercising, and having breakfast before work so that I feel I've done some important things early and will have a better start to the day. Ah yes, never enough time. I am feeling that way always, but especially during the holidays. With extra time I would blog more, read more blogs, read books, watch Christmas movies, meditate, clean my house. The list goes on. By the way, I know have the Cher song in my head. It does feel as if there is never enough time. I loved that you made a list, I was thinking I might do the same thing and then commit to do at least one of the things on my list each day. Thanks so much!! ...I would finish the books piling up on my nightstand, add some nice curls to my hair in the morning, write more poetry, take more pictures, call my friends more often...and the list continues. I think we could all use a little more time, couldn't we? I like that you mention reading your bible. I do not make enough time for that, and it's really jumping out at me lately. It seems like everywhere I go I see it... I guess God is really trying to drive a point home to me right now! It is so true. I read your list of things you wish you had time for & many are on my list. I would also add to mine... time to bake. I feel like I may not have time to make any of the things my family so looks forward to. Visiting from the SITS a day late because I did not have time yesterday :) Have a blessed Christmas! It's odd but we all gradually move through stages, vacillating between too much time and not enough time. I remember back during my single and ready to mingle days, there was plenty of time...then comes marriage and a baby carriage, and I'm here today wishing I had more.